I had Larry on the show earlier in the year to talk about the general theme of his books and the message behind his "angry" demeanor. 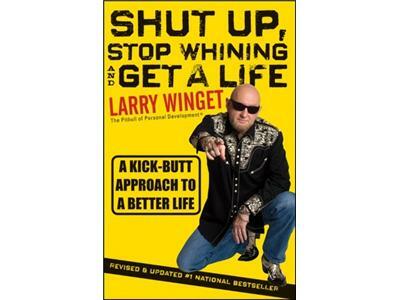 His new book "Shut Up Stop Whining and Get a Life" is sure to offend a lot of people just with the title, but don't judge his books by their title. In a world where people only want to hear what they want and only do what feels good comes a different type of mesage, "Shut Up Stop Whining and Get a Life."